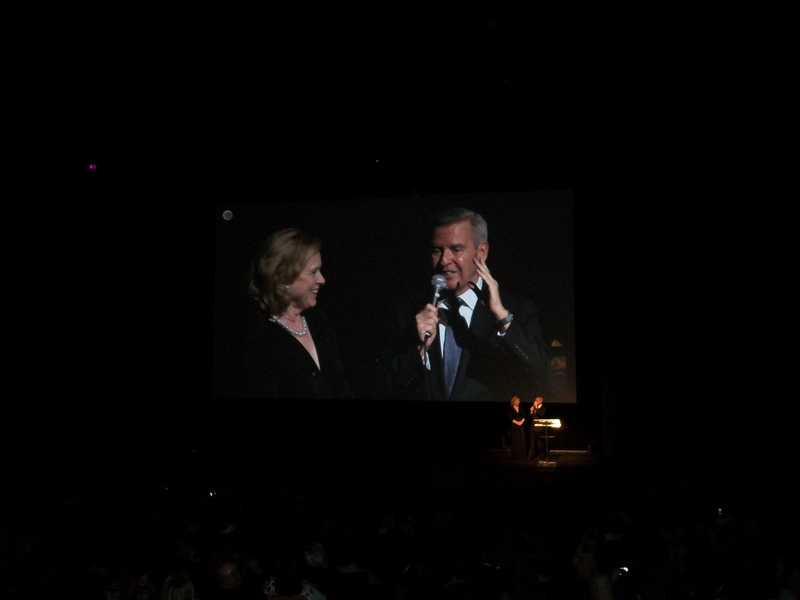 At last month’s Chicago International Film Festival I had the great pleasure of interviewing legendary actress and filmmaker Liv Ullmann after the U.S. premiere of her new film adaptation of August Strindberg’s Miss Julie. During an hour-long round-table discussion (in which three other writers participated), she came across as warm, funny, compassionate and wise in speaking about everything from her charity work to her collaborations with Ingmar Bergman. I am, however, only including the portions of the interview that involved my direct interactions with her, which mainly concerned Miss Julie, the method acting of her lead actress Jessica Chastain, and her old friend and former director Jan Troell. MGS: I think this film is a very powerful exploration of sexual politics as well as class politics. The play was written by a man, obviously, and I believe all of the previous film versions were directed by men. I was wondering what you think you brought to the film and to the character of Miss Julie in particular that maybe a male director might not have or that Strindberg himself might not have. MGS: Two years ago I interviewed Jan Troell at this festival. He was here with his last film The Last Sentence . . .
MGS: It seems like your style as a director is the opposite of that because in Miss Julie everything feels very formal and very elegant. But I was wondering if there was anything you learned from him that influenced your own approach to directing. LU: You see, he is both a cinematographer and a director so it was almost impossible to even take something from him except incredible trust, you know? “You act, I observe.” And he’s like all good directors, he allows the actors to create. But my actors, they know, “Okay, I have my close-up and now comes the bigger one.” (laugh) So they know, they really know but with him we didn’t know. You know, the camera was never on my face, it was on my shoes. (laughs) But that also gives a lot of freedom. And for the actors sometimes my way can be more difficult because they don’t know. They don’t know, “Can I keep it and do what I just did in the wide shot now for the close up?” And I have to give them some alternatives then: “You know, although we have it in a wide shot, we do not really know when we are close what is happening in your eyes. So you are allowed — because I am taking (only) one of the two — so don’t be afraid.” And that I knew: “I will never, never fail you. I’m not lying to you. I will never fail you.” So they were safe. Although (Colin Farrell), in a wide shot could have been angrier, he knew I would not take anger, put to milder, back to anger. That I would not do this, they knew that about me. They trusted me. 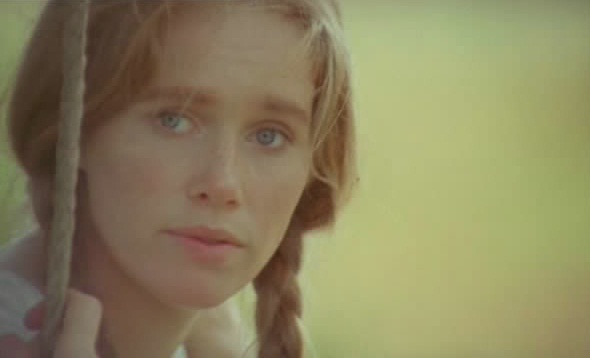 Liv Ullmann in Jan Troell’s two-part epic The Emigrants / The New Land. MGS: You’ve said Jessica Chastain was in character the whole time you were shooting. It must be exhausting as an actress to be in character all the time like that. LU: Exactly! I think she turned on something within herself. We didn’t party at night, so she went to her room. We did it in 29 days so, you know, there was no party time. I didn’t know Jessica well. From (the moment) she came on the set she was Miss Julie but I didn’t know she was Miss Julie. I thought, “Oh this is Jessica. She may not be so easy.” (laughs) And she was easy to work with because, as she actually said in Toronto, “Liv and I, we played this together.” I don’t know why she felt that because it wasn’t like that; she had enormous freedom to do what she did. But I found her maybe somewhat difficult, the way she was with other people, and I thought, “Okay, this is Jessica.” And sometimes when we were editing, I’d talk to her. I said, “This is marvelous, Jessica, but I wish we could have had more warm contact or something.” (laughs) Then I meet her in Toronto and she is the sweetest young girl — nothing to do with that person I met during the whole production. And I talked to Colin about it and he said, “You didn’t know?” “No, I didn’t know.” He said, “It was tough, it was tough.” So, it’s the first time I have experienced that: “Nora becomes Nora” not only in front of the camera . . . but that part is so difficult and she chose to do it and that’s what I wanted but she chose even more so to be this person. She stands in the doorway and we just see her to be this torn woman, torn on the inside, a woman of non-consistencies. And I think to keep that, she had to have it privately. So, it’s the first time I’ve ever seen it. And Colin did it in a different way. He was very reserved, kept to himself in between takes, but if you came to him, he was this nice, pleasant, you know . . . Only when the camera went, he was the servant. And he would never be shattered out of the servant’s role. So I love Jessica for what she did and I admire (her) and I think Colin is also a genius. And Samantha Morton, she’s an actress the way I was an actress: she lives it when the camera is there, then it’s “Nora,” but when the camera’s off, she’s Samantha Morton. That’s the kind of actress I was. I think the two of them (Jessica and Colin), you know, they’re showing it in December (for an Oscar-qualifying run); I truly wish that they would have the money to somehow promote them because I think it’s Oscar-worthy. I, as a director, did not know that “Nora was Nora” outside of when the camera went. 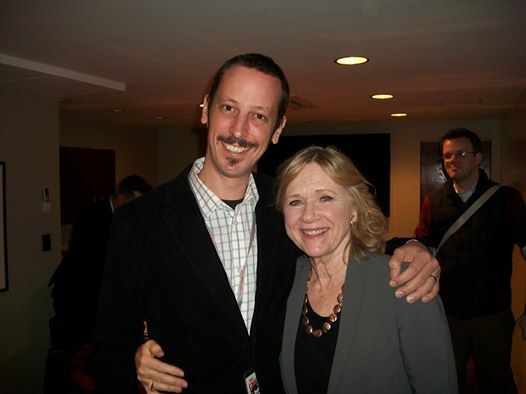 I think she is fantastic and I told her that in Toronto. This little, young girl, you should hear how she talks! MGS: So you didn’t know her before you made the movie. What was it about her that made you want to cast her? Had you seen her in other films? LU: In all the films I saw she was different, and I thought, “What an incredible actress.” In one film I saw I didn’t even know it was her although she played one of the leads. The Debt. I couldn’t believe it. And so when I met her and we talked and she was very literate — she knew a lot — I was very impressed. And she looks like Miss Julie. I didn’t know so much of her inner story. I know now more about her life story, which I didn’t know (then). And had I known that, I may have known what happened to her during the shooting. I adore her. MGS: She looks a little like you as well. LU: Yes. I wasn’t aware of that but she said other directors used to say, “Oh you look like a young Liv Ullmann.” I was not aware of it. MGS: You should act with her. She could play your daughter! LU: Right, we could do that! Well, she said we did it together but that’s not the truth. This is her creation. I’m just happy I gave her the opportunity. MGS: Thank you very much for talking with me. I loved the movie. LU: Thank you very much. You make me very happy. Miss Julie will receive a limited theatrical release in the U.S. beginning on December 14.